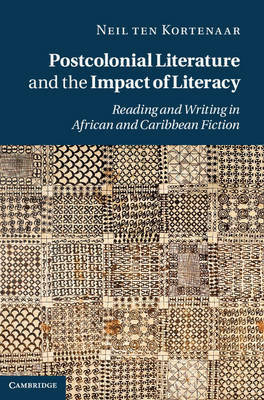 Examining images of literacy in African and West Indian novels, Neil ten Kortenaar looks at how postcolonial authors have thought about the act of writing itself. Writing arrived in many parts of Africa as part of colonization in the twentieth century, and with it a whole world of book-learning and paper-pushing; of school and bureaucracy; newspapers, textbooks and letters; candles, hurricane lamps and electricity; pens, paper, typewriters and printed type; and orthography developed for formerly oral languages. Writing only penetrated many layers of West Indian society in the same era. The range of writers is wide, and includes Chinua Achebe, Wole Soyinka and V. S. Naipaul. The chapters rely on close reading of canonical novels, but discuss general themes and trends in African and Caribbean literature. Ten Kortenaar's sensitive and penetrating treatment of these themes makes this an important contribution to the growing field of postcolonial literary studies.